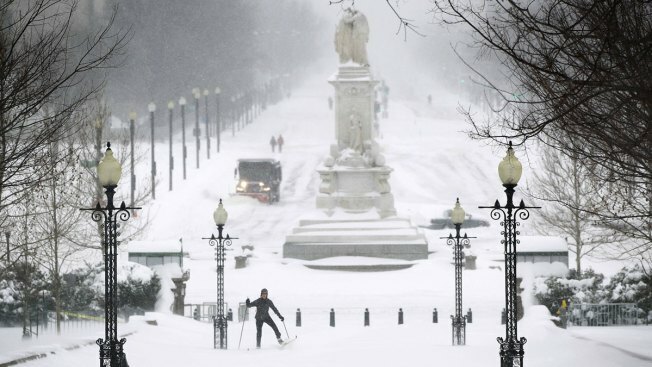 A woman skis in the snow Jan. 23, 2016 in Washington, D.C. There was definitely a lot of snow in Washington, but just how much may never really be known. The number that goes down in the history books as Washington's official total: 17.8 inches, falls short compared with some other spots in the region, raising the question: Why the disparity? According to The Washington Post, the small team of weather observers at Reagan National Airport lost their snow-measuring device to the elements midway through the blizzard. The mix-up may have kept the blizzard of 2016 from breaking into the region's top three snowstorms on record, based on accumulations, prompting the National Weather Service to announce that it will be looking into the procedures used at Reagan National. The National Weather Service has clear guidelines on how to measure snowfall for one simple reason: How much snow falls may determine whether additional relief is sent into a location after a major storm. 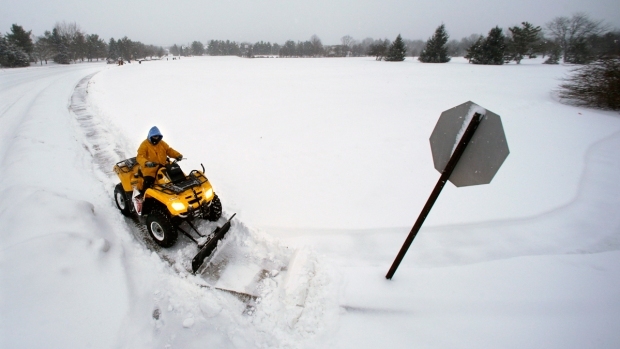 Per the National Weather Service's standards, measurements are taken using a snow board. Before the storm begins, the board is placed in a location that won't be disturbed by drifting. But according to The Washington Post, the board at Reagan National Airport got buried in Friday's snow. The observer then took multiple measurements and averaged them together. Mark Richards, senior weather observer at National, on Sunday stood by the accuracy of the reading, saying his team did the best it could under tough conditions. "Everyone has to understand that measuring snow in a blizzard is a tough thing to do,'' Richards told The Post. "We would like it to be as accurate as possible, but it's an inexact science."